As a fan of the action-RPG genre, it’s always a good feeling when I come across a new one that has potential to provide hours and hours of entertaining gameplay. Defenders of Naxia, an action-RPG being developed by Indie studio Novel Geometry Games, looks compelling at first glance. It’s not just the fluid looking pre-alpha gameplay reminiscent of Diablo, Dungeon Siege and the like but also the story, which could make the world of Defenders of Naxia engrossing. 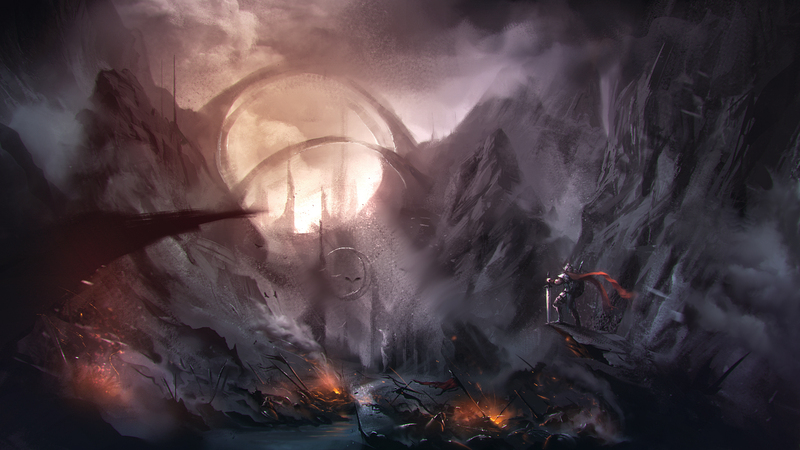 The story goes that the world of Naxia was divided into 5 kingdoms that were constantly at war, and so the lands were filled with oppression, corruption and bloodshed. However, things went from bad to worst when someone secretly opened the Gate of Sacrifice unleashing Raven, the most feared enemy in all of existence. You must beat back Raven and save what remains of Naxia but can it be done when the world is already so divided? Droidia: This land is surrounded in lakes and rivers full of blood. The enemies here are super evasive and fast but with low health. Also, they will curse you in a way that you would miss most of your attacks. Mendoria: Dungeons and Arenas here are floating in the air. The land is burning with fire and flames. Beside attacking in a normal way, enemies here will ignite you and you will take damage through time. Adaewia: Barren lands made of rock and stone. Enemies here are very tough but slow. They can stun you a lot. Eudopia: A Mysterious and Dark land. Many random events can happen here. Enemies also have random abilities. There are many bosses here; And the final boss as well. Me: Each world has its own unique features that would change your battle dynamics, can you give me an example of how this is true for one of the worlds? Ashkan: One of the main features of the gameplay is called the Battle Style. You can choose (in real-time) between becoming Aggressive, Defensive, Evasive or Balanced during the game. Each style has its own advantages and disadvantages. For instance, in Arcania (which is a kind of ICE level), most of the enemies and hazards in the game will slow your movement speed or freeze you. So if you want to live, you have to choose Evasive style which increases your movement and attack speed but on the other hand, it will decrease your main damage and armor; so you have to buy or gather some +damage / +armor items and also use your high damage spells and abilities during the battles, because you no longer can rely on your main damage. Me: How many playable characters? Ashkan: The game has a minimum of 4 and a maximum of 8 playable characters. It depends on our success in Kickstarter and our stretch goals. 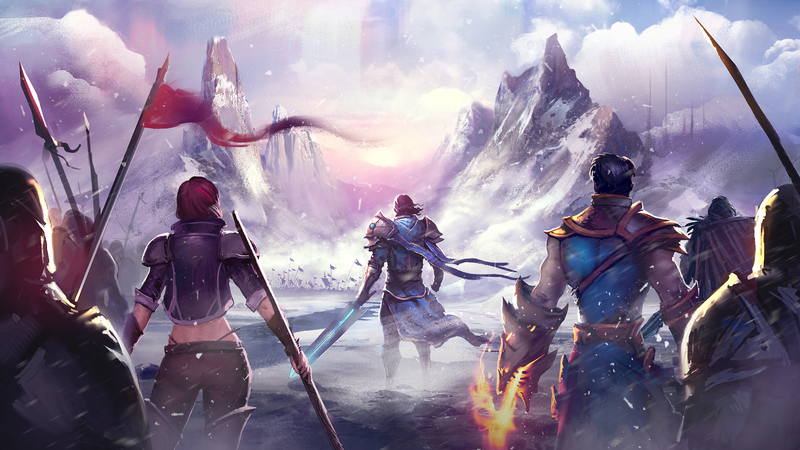 Our plan is to include all famous RPG classes in the game such as Warrior, Ranger, Warmage, Rogue, Sorcerer, etc. Right now we have a rogue and a ranger in the game and we’re working on a warrior. Me: Will there be co-op play? Ashkan: Yes. But again it depends on whether we hit the related stretch goal or not. The co-op mode will be different with the single player campaign in a way that both player will be present in the scene and they have to proceed in the game together (like the mechanism we see in Gauntlet Series). Also, Camera view, some level designs, and the balance of the game will be different as well.